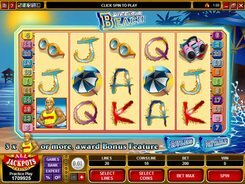 This is a 5-reel 25-payline slot which is themed around Ninja Penguin and martial arts. On the reels you will see nunchaku, snowflake shuriken, Master Walrus, ice cubes with a penguin inside, fish and playing cards that look like made out of ice. You can place 1 to 20 coins per line and select a coin value from $0.01 to $0.25. Thus, a total bet can be anywhere between $0.01 and $125. 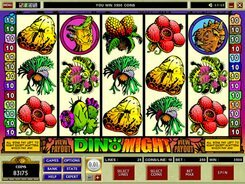 The slot has a wild, a scatter, free spins and a bonus feature. The top prize of $30,000 is granted for five wilds. The second-largest jackpot worth $10,000 is awarded for five Master Walrus symbols landed on any payline. 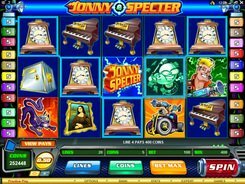 Hitting three or more scatters awards five free spins and unlocks the Penguin bonus round. 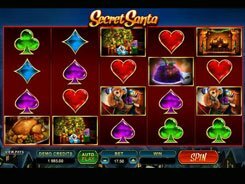 In the bonus round, you have to smash 3 out of 5 ice cubes that award cash prizes or extra free spins added to your five initial free spins. 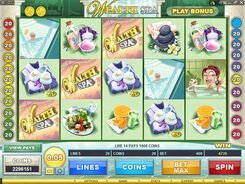 Then, the free spins round starts. 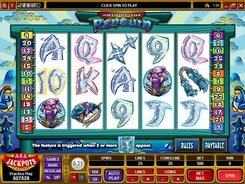 Overall, Path of the Penguin is an entertaining and funny slot with a great payout potential and massive fixed jackpots. PLAY FOR REAL MONEY!